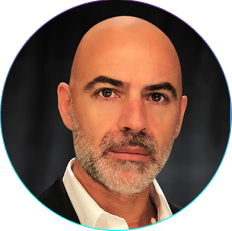 Assaf Halevy is the founder and chief executive officer of 2bPrecise, LLC, leading an international team dedicated to bridging the final mile between the science of genomics and making that data useful at the point of care. He joined Allscripts as senior vice president of products and business development in 2013 when the company acquired Israel-based dbMotion. An initial inventor and co-founder of dbMotion, Halevy helped develop the leading clinical integration and population health management platforms in the industry today. With 13 patents pending in the areas of actionable clinical integration, interoperability and precision medicine, Halevy leverages his industry expertise by evaluating strategic alliances and partnerships for U.S. and international markets. Halevy was invited to participate in several U.S. government activities and contribute in an HHS privacy committee task force. In 2016, he was part of a small selective group of executives invited to the White House by Vice President Joe Biden to discuss the future of interoperability. Halevy holds a Bachelor of Science degree, with honors, in computer science from the Academic College of Tel Aviv-Jaffa and Tel Aviv University, as well as Genomics and Genetics certification from Stanford University.